With the announcement of the new Jack Purcell EVO, there seems to be a lot of excitement for the Jack Purcell line...and now you can wear that excitement somewhere else besides your feet. 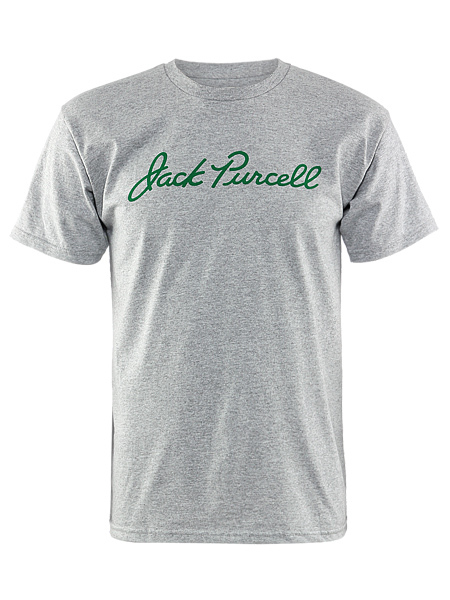 Converse has finally made shirts that feature the iconic Jack Purcell signature and Smile. Each of the four shirts features the toe Smile on the upper back of the shirt. If you want to pick up one you'll have to head over to Tennis Warehouse as they've got the whole Jack Purcell EVO going on special page. While you're there you might want to check out their extensive review of the shoe itself.